Curated by the artist Enrique Marty. 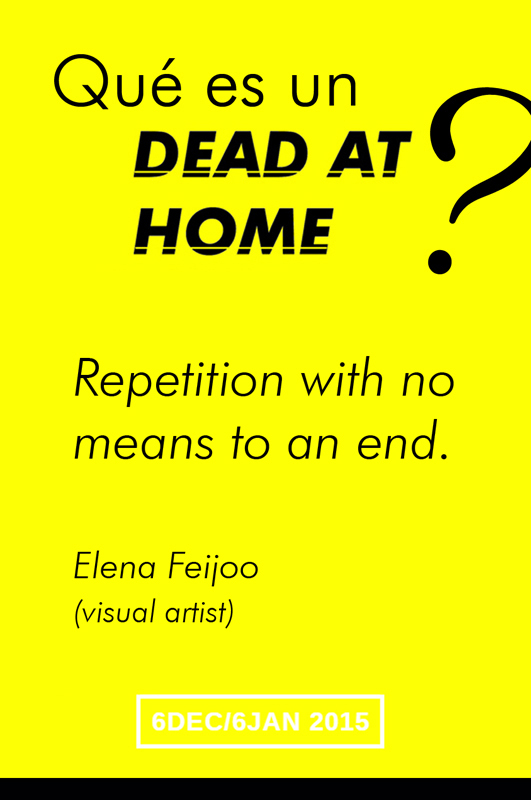 DEAD AT HOME proposes the use of domestic space as a meeting point for artists, cultural agents and the public with the goal of fostering the exchange of projects, experiences and common interests and the dissemination of the exhibited artists and works. 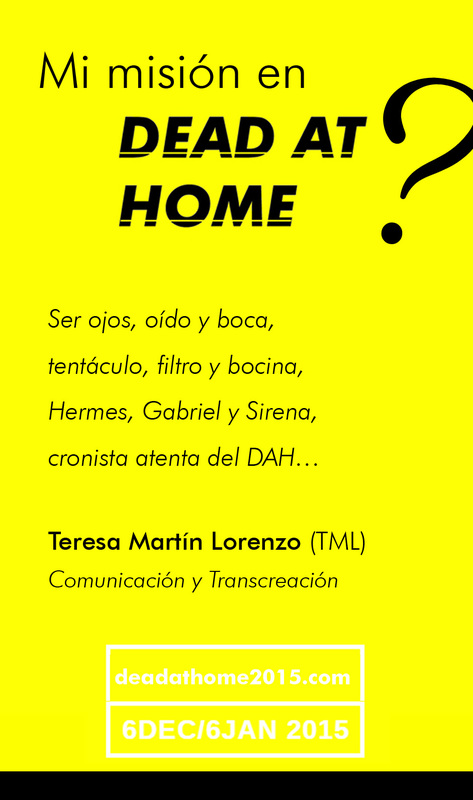 On its first edition the main exhibition venue will be a family house in Salamanca. Its uninhabited rooms will be the setting for the different works and initiatives included in the program. The shows will be open to the public from the 15th of April to the 13th of May 2016. In parallel to the shows in the house, an online platform will ensure maximum and permanent visibility of the exhibited works during the year 2016. To gather a group of artists around an experimental exhibition program that will use both physical and virtual spaces. The family house, with its architecture, furniture, daily life objects and gestures plays a key role in the conceptualisation and visual choreography of DEAT AT HOME’s shows. The project seeks to highlight the plastic and symbolic dimensions of the family house, prompting the sublimation of mundane objects and spaces into the category of artistic experiences and objects. The works will be shown in the house and on the online platform, priced and put up for sale. The house has 120 m2 and is located in El Rollo neighbourhood (Paseo del Rollo 34/36, Salamanca). Visits will be arranged by appointment from Friday the 15th of April 2014 to Saturday the 13th of May 2015. An ‘Arrange a Visit’ section with detailed information on opening times will soon be available. Activities requiring specialised facilities or equipment, such as projections, talks, and concerts will be directed to other spaces in Salamanca’s cultural network: Da2, La Casa de las Conchas, Conservatorio Superior de Música, La Salchichería, etc. Daily coverage by DAH’s online media. Hold a full database of the artists: bios, selection of works, texts and links of interest. Increase visibility of ‘end-of-life’ or semi-discarded works: actions, experimental projects, concerts, digital art, or audiovisual pieces. Social media profiles will be active from the 30th of March. From that date to the 13th of May 2016, the works on show will be covered daily on our online platform. An all-embracing selection of artists, gallerists, curators, publishers, teachers, critics, writers, collectors, viewers, readers, cultural managers, filmmakers, and musicians. From the 30th of March the full list of authors and projects, together with their respective digital profiles, will be available on the online platform. Media featured will include drawing, audiovisual work, painting, sound, poetry, performance, installation, essay, comic, prose, illustration, photography, and ceramics.